A walk down Edmonton’s back alleys can present a lesson in decades-old urban farming. Early inhabitants of the city planted thousands of fruit trees, thickets of raspberries and rhubarb patches that have grown to the size of small cars. But what do you do with all that fruit in an age when most people no longer make their own jam or otherwise preserve the bounty? And how do you save good food from ending up in the landfill when there are hungry people in the city? Enter Fruits of Sherbrooke. From small beginnings selling apple pies and jam made from rescued fruit at a local community league, using SEF funds to help with operating capital, this non-profit has grown to sell more than 20 very popular condiments in area farmers’ markets, retail outlets and local restaurants. Many volunteers pick the fruit, which is shared amongst the harvesters and community organizations, including local food banks and service agencies. In 2015, with cash raised through Kickstarter, the organization launched Project Fruit Stars, which has donated over 13,000 individual snacks – including apple sauce, apple chips and apple leather – to over 30 high-needs schools. 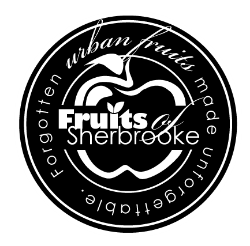 Fruits of Sherbrooke also offers classes in preserving as well as making its own products, helping others learn how to transform rescued fruit into a viable skill and employment opportunity. Although most of its labour is volunteer, the growth in demand for its products has created a need for trained staff. True to its roots, the organization turned to those who face challenges in the traditional workforce, offering a supportive place for those who might not otherwise have the chance to learn and earn.